SHELLEY SWEENEY is not fond of rom-coms, but Home Alone busts out of the genre’s usual predicability. As a rule I usually avoid romantic comedies. On the whole they’re a bit too light and fluffy for me and often involve poorly sketched characters and vomit-inducing romantic cliches, but I’m happy to say that Home Again is more than a rom-com. In fact, it’s an ode to modern day feminism, albeit a very glamorous one where everyone is rich or at least charismatic. This is a film about a woman that was written, produced and directed by women. Writer/director Hallie Myers-Shyer is the daughter of Nancy Myers, who produced Home Again and is known for making some of the most popular films in the genre from The Intern and The Holiday all the way back to Father Of The Bride and Baby Boom. She is one of the most successful women in Hollywood, and was script editor for her daughter on this project helping her through her first experience of directing. If Home Again is anything to go by, then the film-making legacy of Nancy Myers is in safe hands. Star Reece Witherspoon is a Hollywood power player herself with her own production company that only makes films with female leads, and Wild and Gone Girl are among the films so far. 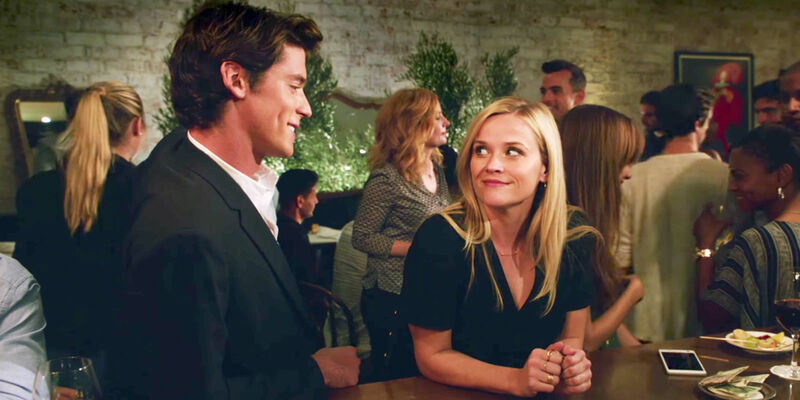 In Home Again, Witherspoon stars as Alice, a recently divorced mother of two who is launching a new career as an interior designer. On her 40th birthday Alice goes out with her two best friends for a quiet dinner and drinks. The girls meet three charming, much younger men and the night ends with a small party back at Alice’s house and an awkward conversation with her two daughters the next morning. Sounds bad, doesn’t it? Only, it’s not. The three young men are actually very sweet, although heartthrob Harry has some serious feelings for Alice which makes for great comedy and complications. Harry, Teddy and George are in Hollywood to pitch their award-winning short film to the studios, and hoping to get it made into a feature length movie. Alice has just moved into the house she inherited from her film director father. Her mother Lillian (Candice Bergen), starred in her ex-husband’s films and when the three boys meet her they’re star struck. Before Alice has a chance to say ‘no’, Lillian has decided that the boys will stay in Alice’s house until they can afford more permanent accommodation. These men are on the verge of success, and at an age where they have all the energy and enthusiasm to start out and make things happen. Alice might be 40, but she is in a similar situation.The boys are finding themselves while Alice is rediscovering herself. It’s a scary and exciting time, and they support and inspire each other to succeed. The relationships between the boys and Alice and her daughters are very sweet and refreshingly real. Alice does what she can to hide her burgeoning relationship with Harry, but there are more than a few raised eyebrows from friends and family. 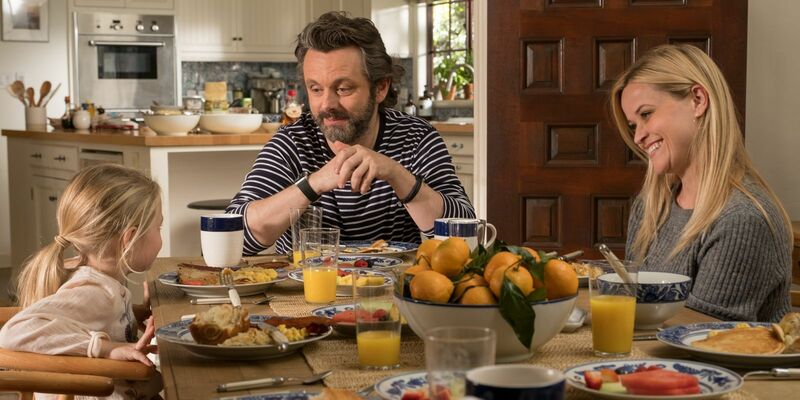 When Alice’s ex-husband Austen (Michael Sheen) hears there are three young men living in her house, he’s worried and feels threatened. The boys have quickly become an important part of his ex-wife and daughter’s lives. He pays them a visit and the result is hilarious. In the end, Alice and the girls thrive in their makeshift family arrangement and everyone grows from the experience. It’s a fun and surprisingly poignant film that – while it might be a story about beautiful people living beautiful lives – has hidden depths that make it worth a watch.